Big data processing and distribution systems offer a way to collect, distribute, store, and manage massive, unstructured data sets in real time. These solutions provide a simple way to process and distribute data amongst parallel computing clusters in an organized fashion. Built for scale, these products are created to run on hundreds or thousands of machines simultaneously, each providing local computation and storage capabilities. Big data processing and distribution systems provide a level of simplicity to the common business problem of data collection at a massive scale and are most often used by companies that need to organize an exorbitant amount of data. Many of these products offer a distribution that runs on top of the open-source big data clustering tool Hadoop. Companies commonly have a dedicated administrator for managing big data clusters. The role requires in-depth knowledge of database administration, data extraction, and writing host system scripting languages. Administrator responsibilities often include implementation of data storage, performance upkeep, maintenance, security, and pulling the data sets. Businesses often use big data analytics tools to then prepare, manipulate, and model the data collected by these systems. Big Data Processing and Distribution reviews by real, verified users. Find unbiased ratings on user satisfaction, features, and price based on the most reviews available anywhere. 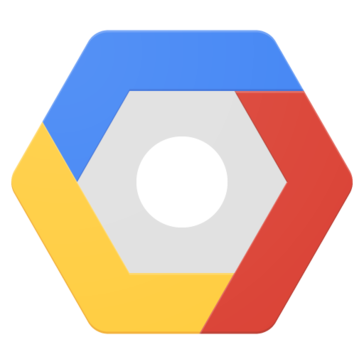 BigQuery is Google's fully managed, petabyte scale, low cost enterprise data warehouse for analytics. BigQuery is serverless. There is no infrastructure to manage and you don't need a database administrator, so you can focus on analyzing data to find meaningful insights using familiar SQL. BigQuery is a powerful Big Data analytics platform used by all types of organizations, from startups to Fortune 500 companies. Qubole is revolutionizing the way companies activate their data--the process of putting data into active use across their organizations. With Qubole's cloud-native Data Platform for analytics and machine learning, companies exponentially activate petabytes of data faster, for everyone and any use case, while continuously lowering costs. Qubole overcomes the challenges of expanding users, use cases, and variety and volume of data while constrained by limited budgets and a global shortage of big data skills. 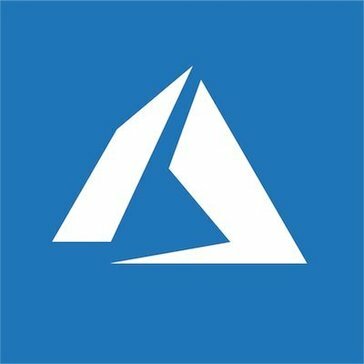 Qubole's intelligent automation and self-service supercharge productivity, while workload-aware auto-scaling and real-time spot buying drive down compute costs dramatically. Qubole offers the only platform that delivers freedom of choice, eliminating legacy lock in--use any engine, any tool, and any cloud to match your company's needs. Cloudera, based in Palo Alto, California, U.S, offers Cloudera Enterprise, a platform that includes Cloudera Analytic DB (for BI & SQL workloads based on Apache Impala), Cloudera Data Science & Engineering (for data processing and machine learning based on Apache Spark and Cloudera Data Science Workbench), and Cloudera Operational DB (for real-time data serving based on Apache HBase and Apache Kudu). Through their SDX (shared data experience) technologies, the platform provides unified security, governance, and metadata management across these workloads as well as across deployment environments. Cloudera’s platform is available on-premises; across the major cloud environments (including native object store support for S3 and ADLS); and as a managed service under the Cloudera Altus brand. About IBM Db2 IBM believes in unlocking the potential of your data, not throttling it. We hold our databases to a higher standard, making it easy to deploy your data wherever it's needed, fluidly adapting to your changing needs and integrating with multiple platforms, languages and workloads. IBM Db2 is supported across Linux, Unix, and Windows operating systems. Google Cloud Dataprep is an intelligent data service for visually exploring, cleaning, and preparing structured and unstructured data for analysis. Cloud Dataprep is serverless and works at any scale. MapR delivers on the promise of Hadoop with a proven, enterprise-grade platform that supports many mission-critical and real-time production uses. MapR brings unprecedented dependability, ease-of-use, and world-record speed to Hadoop, NoSQL, database and streaming applications in one unified Big Data platform. Apache Ambari is a software project designed to enable system administrators to provision, manage and monitor a Hadoop cluster, and also to integrate Hadoop with the existing enterprise infrastructure. Apache Beam is an open source unified programming model designed to define and execute data processing pipelines, including ETL, batch and stream processing. ASG Technologies’ Enterprise Data Intelligence Solution delivers a tool-agnostic solution that supports the creation of custom metadata interfaces for your enterprise sources, providing a complete data lineage knowledge base. The range and flexibility offered by ASG includes discovery of mainframe, distributed and other ETL code, analyzing to ensure there are no gaps in your end-to-end lineage. AWS Lake Formation is a service that makes it easy to set up a secure data lake in days. A data lake is a centralized, curated, and secured repository that stores all your data, both in its original form and prepared for analysis. Apache Apex is an enterprise grade native YARN big data-in-motion platform designed to unify stream processing as well as batch processing. Apache AsterixDB is a scalable, open source Big Data Management System (BDMS). Apache Bahir provides extensions to multiple distributed analytic platforms, extending their reach with a diversity of streaming connectors and SQL data sources. Apache Chukwa is an open source data collection system for monitoring large distributed systems. Apache Falcon is a feed processing and feed management system designed to make it easier for end consumers to onboard their feed processing and feed management on hadoop clusters. Apache Fluo is an open source implementation of Percolator (which populates Google's search index) for Apache Accumulo. Combines open source Hadoop and Spark to cost-effectively analyze and manage big data Combines Hadoop and Spark Integrates Hadoop and Spark for fast processing of any type of data at scale. Improves ROI Provides data management and analytical tools to enhance Hadoop capabilities. Helps improve your ROI, whether in the cloud or on-premises. Scalable and adaptible Helps integrate Hadoop as part of a hybrid architecture that supports multiple data types and technologies. Provides the scalability and adaptability you need for big data analytics. Open source support Built on IBM Open Platform, which provides complete open source distribution of Apache ecosystem components. Enhances your ecosystem Provides deployment options and an extended portfolio of capabilities to help you make the most of Hadoop. The Syncfusion Big Data Platform is the first and the only complete Hadoop distribution designed for Windows. Its users can develop on Windows using familiar tools, and deploy on Windows. Syncfusion has taken the advantages of the Hadoop environment – from easy querying across structured and unstructured data to cost-effective storage of any amount of data using commodity hardware with linear scalability- and made them available on Windows. With extremely minimal prerequisites and no manual configuration, the platform provides an easy-to-use environment for working with popular big data tools such as Pig and Hive. The industry-tested Syncfusion Big Data Platform gives users complete access to the power of the Hadoop environment - and the backing of an experienced team providing the samples and support that will get them up and running quickly. Altiscale Data Cloud is a fully managed Big Data platform, delivering instant access to production-ready Hadoop and Spark. AMETRAS Automatic Documents Processing can help you collect relevant information from your documents in order to process, provide and distribute them. AMR Win Control offers software for data acquisition and measured data processing. Bare Metal Cloud Infrastructure as a Service (IaaS) offering single tenant, on-demand environments built for high traffic websites, micro-services architectures, IoT & mobile backends, big data and more. Bluemetrix Data Manager is a suite of modules automating the ingestion, transformation and governance of data on Hadoop. Data Manager provides a fully interactive drag and drop interface allowing dynamic workflow creation for the ingest & transformation of data. The suite is built on BMC’s Control-M. Bright Computing provides comprehensive software solutions for provisioning and managing HPC clusters, Hadoop clusters, and OpenStack private clouds in your data center or in the cloud. Cask is an open source software company bringing virtualization to Hadoop data and apps. Tervela Data Fabric is a lightening-fast, fault-tolerant platform that allows you to capture, share, and distribute data from hundreds of enterprise and cloud data sources down to a diverse set of downstream applications and environments. DNIF offers a comprehensive solution based on a Big Data platform that offers an end-to-end capability of processing unstructured log data, identify patterns using high speed analytics and detect complex threats.